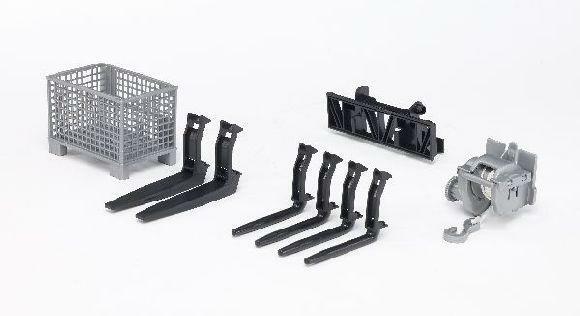 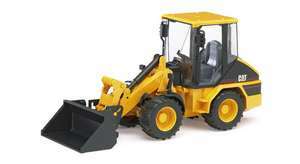 To add to the fun of playing, it can be equipped with front loader accessories (BRU02318). The handy, agile, versatile compact articulated wheel tractors are nowadays indispensable in construction, mining, agriculture and forestry. 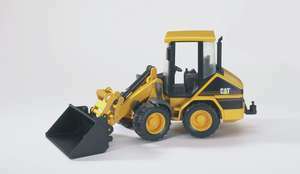 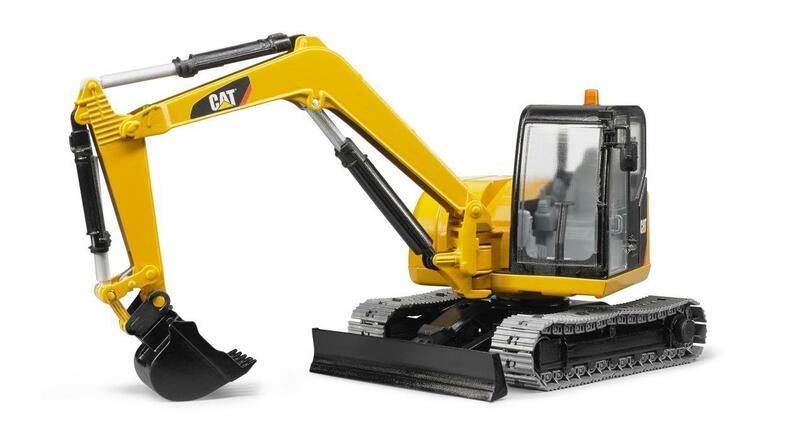 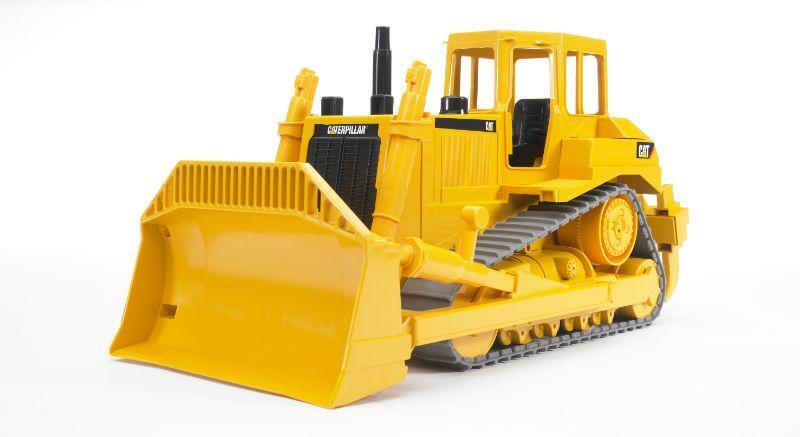 As the holder of the international CATERPILLAR license for the field of model-sized toy vehicles made of plastic, Bruder is following up this development with the introduction of a toy based on the original CATERPILLAR 908 model, scale 1:16. 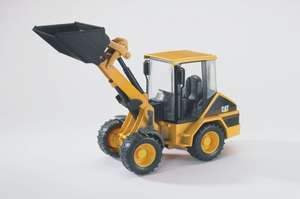 In the typical Bruder way, reality is imitated with the wheel loader which has a fully functioning loading arm with tilting and detachable front bucket.